Live gigs and concerts are becoming increasingly popular in the UK. Consequently, getting into them can be a real nightmare! Further problems arise when touts and wannabe moneymakers cash in by buying tickets for popular shows, often to re-sell them for double or triple the original price! Nowadays the average gig goer is lucky to find gig tickets on sale after even the first day of release! 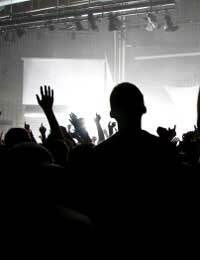 If you are desperate to go to see a particular performer or performers make sure you regularly check their website for details of shows in the UK. Take note of dates when tickets will go on sale and particularly the time in the morning that ticket offices open. On the day, wake up early enough to pre-register your account details with a ticket website online. The moment tickets go on sale start calling AND clicking like mad, to make sure you get your tickets! What If I Wasn’t Able To Buy Concert Tickets? If you have missed out on tickets but are still keen to go to a show you will need to search online for spares. Many other gig-goers with more tickets than necessary advertise these on the internet and it is well worth having a look. You should always be wary of high priced tickets and sellers with poor feedback and never make a purchase other than through Paypal to ensure your payment is protected. Touts do sell online, and although most tickets are legitimate, there will always be a small risk of fraud. Can’t afford the high prices online? Arrive early at the concert venue on the night of the performance you want to go. Some venues open as conventional pubs and bars in the day. If you get there early enough, tuck yourself away in a deserted corner when the venue clears out its daytime customers. Stay hidden inside until the evening crowds are let in. If this works, you’ll have got in for free! For the real blaggers amongst us, a call to a performer’s PR company may prove to be extremely advantageous. If you can find the correct number (and don’t get lost in the spiraling telephone switch board of a large multi-national record company) for your performer’s PR, try to convince them that you work for a well-known magazine or newspaper and want to review the show. If you come across convincingly enough on the telephone and your confidence shines through, expect guest list entry and possibly even backstage passes upon arrival! Woohoo! Arrive at your venue very early and hang around by the backstage entrance. At some point in the mid-afternoon, the band themselves will arrive. Depending on the amount of other fans around, try to get very close to the band or performer and engage someone in conversation. Explain that you have been unable to get tickets conventionally but would do absolutely anything to see the show. If the performers take pity on you (girls: crying is a good idea), then you might just find a free ticket coming your way, and if you’re lucky, an invitation to see the band warm-up too!